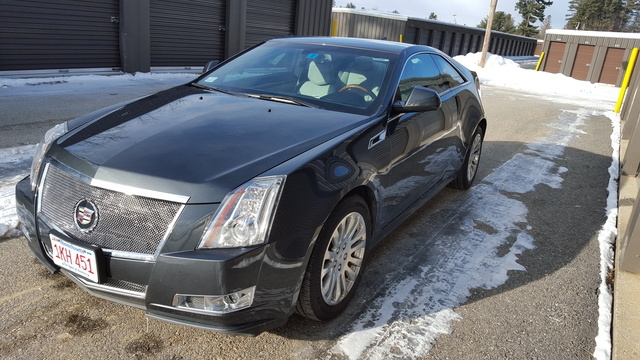 Looking for a Used CTS Coupe in your area? CarGurus has 414 nationwide CTS Coupe listings starting at $8,995. General Motors received plenty of praise for its redesign of the latest version of the Cadillac CTS Sedan, and many of those pundits were hoping to see similar changes in the other CTS vehicles, especially the Coupe, but they'll have to wait for that. There are only a few minor updates for the 2014 Cadillac CTS Coupe, now in its fourth year of production. There are 3 new colors available for the 2014 CTS Coupe—Red Obsession Tintcoat, Phantom Gray Metallic and Majestic Plum Metallic—and 2 new interior packages. The Midnight Sapele Wood Trim Package adds jet-black wood accents to the instrument panel, center console and door trim, and the Sport Blue Package adds Twilight Blue suede seating inserts, ambient lighting, rain-sensing wipers, an upgraded theft-deterrent system and the Midnight Sapele wood accents. It may not be freshly remodeled, but the CTS Coupe still strikes a stunning figure with its angular exterior lines and aggressive stance. The steep windshield, wide-mouthed front fascia, sleek roofline and overall aerodynamic flow give the 2-door a distinctive look that's both edgy and athletic. The invisible door handles, centered exhaust pipes and vertical LED taillights add to the CTS Coupe's unique appearance. All three trims—Standard, Performance and Premium—are powered by a 3.6-liter direct injection V6 (318 hp, 275 lb-ft of torque) that's mated to a 6-speed automatic transmission (paddle-shift controls are available for the Performance and Premium trims). All CTS Coupes come standard with rear-wheel drive (RWD), although they offer an all-wheel drive (AWD) option, and both get 18 mpg city/27 highway. An independent front suspension, a multi-link rear suspension on a fully isolated subframe, a limited-slip differential and all that available power deliver athletic and dynamic handling. But some test drivers feel the CTS Coupe's weight (3,898 pounds with RWD and 4,096 with AWD) puts it behind some of its European and Japanese competitors in terms of maneuverability. Some also note the ride can be a touch rough, especially with the available performance suspension package. Standard features for the Standard trim include heated mirrors, 18-inch aluminum-alloy wheels, 8-way power front seats, an 8-speaker Bose sound system, SiriusXM satellite radio, automatic dual-zone climate control, Ultrasonic Rear Park Assist, Bluetooth, cruise control, programmable door locks, keyless start, auto-dimming rear-view mirror, telescoping steering column, split-folding rear seat and a leather-wrapped steering wheel with cruise, audio and Bluetooth controls. Stepping up to the Premium trims adds Side Blind Zone Alert, rear vision camera, 10-way power heated front seats with memory and leather upholstery, a 10-speaker Bose sound system with 10GB hard drive and USB port, universal home remote, fog lamps and High-Intensity Discharge headlamps with Adaptive Forward Lighting. The Premium trim upgrades include ventilated front seats, heated and power tilt-and-telescoping steering wheel, touchscreen navigation system, integrated rear camera vision, rain-sensing wipers, Sapele wood trim, ambient lighting, automatic cabin air filtration and 18-inch polished aluminum wheels. All CTS Coupes come standard with dual-stage frontal airbags for the driver and passenger, front seat side-impact airbags, front and rear outboard head curtain airbags, 4-wheel antilock brakes, electronic stability control, traction control, electronic brakeforce distribution, driver and passenger whiplash protection, daytime running lights, dusk-sensing headlamps, OnStar with one year of the Directions and Connections plan, tire pressure monitor system and PASS-Key III theft-deterrent system. 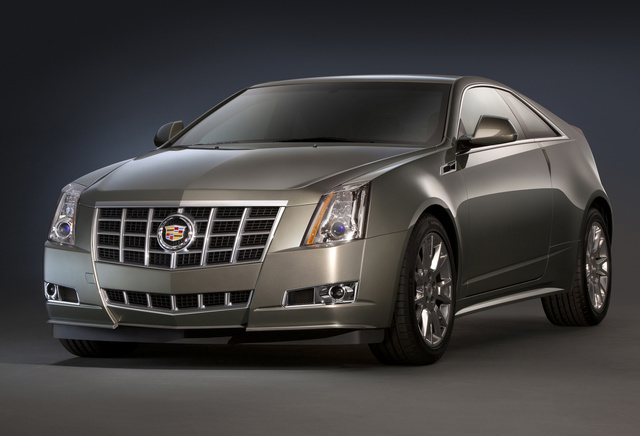 What's your take on the 2014 Cadillac CTS Coupe? Users ranked 2014 Cadillac CTS Coupe against other cars which they drove/owned. Each ranking was based on 9 categories. Here is the summary of top rankings. Have you driven a 2014 Cadillac CTS Coupe? I have my car listed for $27,000 and that should be a fair price but on my posting it shows it as overpriced why is that?? Turning Sharp In A Cadillac Ct Coup And It Pops Is That Awd? Like To Get A Copy Of Deleted Ad.